Strangely enough, as much fantasy as I read, I'd never gotten around to reading Ursula K. Le Guin's Earthsea Trilogy. I've had the books for a couple of years, but for one reason or another, never got around to reading them. It's a short book, my copy has only 183 pages (same for the reprint I just looked up), so I kept putting off reading it until a time when I needed a short book to read. Well, that time seems to be now. The first book in the trilogy, A Wizard of Earthsea, tells the story of Ged, known as sparrowhawk, the greatest sorcerer of Earthsea. His youth and education through his young adulthood, as he took his first job as a wizard. I was surprised by how much I enjoyed this book. I suppose that I was fearing it was going to be one of those "classics" that I read because it's supposed to be great, but I just don't get it. (Like The Last Unicorn.) 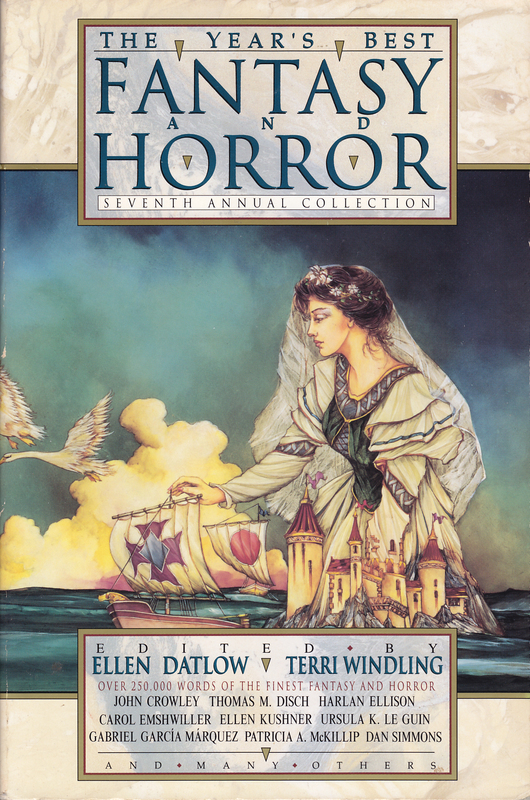 But no, I really enjoyed A Wizard of Earthsea. I liked the writing, I liked the story, and I liked the characters. (And I also liked that it was a short book.) I found Sparrowhawk and Vetch to be very interesting, and I liked the way that Sparrowhawk matured. I'm typically not fond of books with bratty teenage characters, but I found Sparrowhawk interesting, and I found his immaturity and faults to be understandable, rather than annoying. I also enjoyed the fact that I had no idea where the story was going. It's not often that a story completely surprises me, but as I read, I kept thinking, "I didn't expect that!" which was fun. 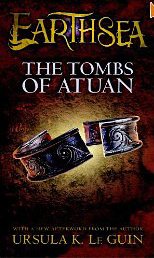 I've already started The Tombs of Atuan, and have hopes that it will be as good as A Wizard of Earthsea. Even if it is a second book in a trilogy. If, like me, you've put off reading the Earthsea Trilogy, do so no longer. It's an interesting, well-written story. Enjoy! 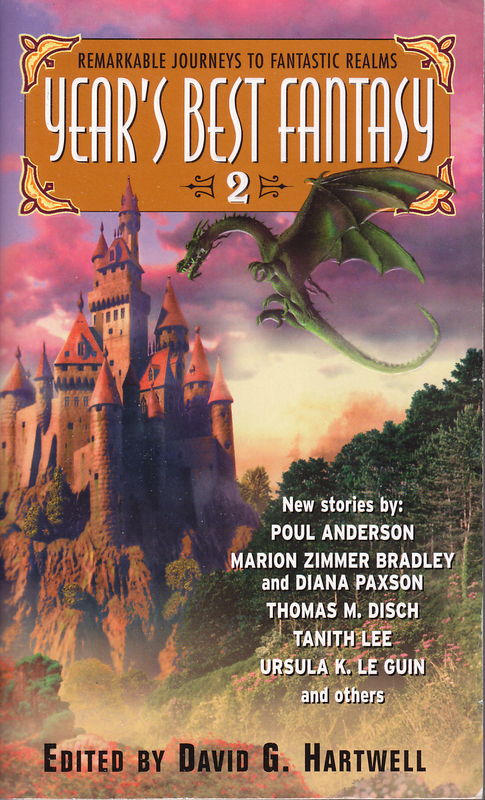 The second book in the Earthsea Trilogy, The Tombs of Atuan tells the story of Tenar, who becomes Arha, the Eaten One, and High Priestess of the Nameless Ones. Tenar is taken from her home at the age of five becuase she is the reincarnation of Arha. The tombs beneath the city are her realm and her responsibility. What I found most interesting was the description of how Tenar was taken from her home to enter the temple, and how she spent her childhood in the temple, privileged more than the other girls, yet more isolated. For whatever reason, I didn't seem to care as much about Tenar as I had Ged. I was interested in what was happening to her, but didn't care quite as much. I'm not sure whether that is due to the way the character was written, or something else. I also was also somewhat confused by her change in attitude towards the end. I can understand her confusion, but I'm not certain why she took the actions she took. Small complaint about the cover (the newer cover, as well as the cover on my book.) I hate it when they put scenes towards the end of the book on the cover. I'd just as soon not know these things, thank you. 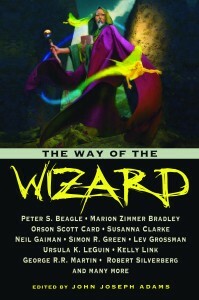 This is a good sequel to A Wizard of Earthsea. Like a lot of second books, it didn't seem to be as strong as the first book, but was still very good, and quite enjoyable. 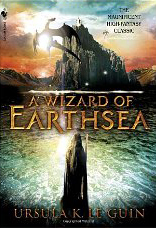 The final book in The Earthsea Trilogy, as A Wizard of Earthsea tells of the start of Ged's life as a wizard, The Farthest Shore closes his adventures. 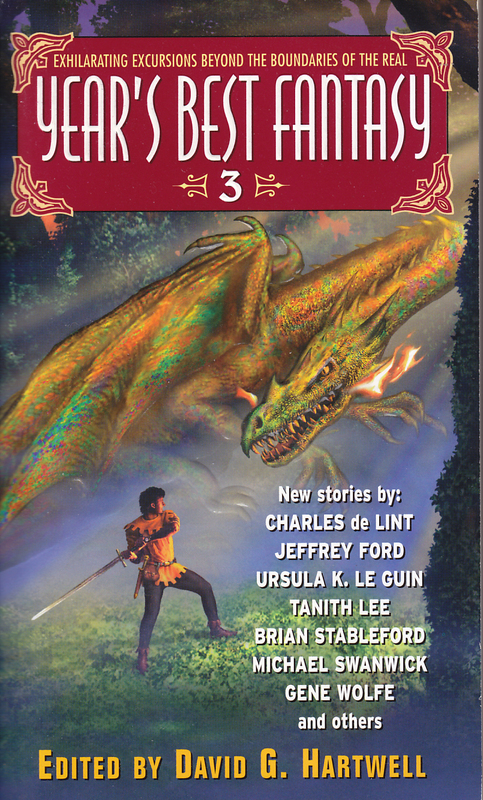 This time, Ged appears at the start of the book, as he receives Prince Arren, sent by his father to warn of magic disappearing from the world. Like the previous two books, there is much to consider about the nature of evil. "But you knew them to be evil men--"
"Was I to join them therefore? To let their acts rule my own? I will not make life choices for them, nor will I let them make mine for me!" I very much like her take on "evil" and how it affects individuals and the world. If I understand her point, there is no such thing as an evil being, only men who take evil actions. And with this I agree. I think that anyone can be redeemed, no matter how much we may not want to see it or believe it. But redemption is not an easy thing, and not everyone can manage it. As far as the book goes, I didn't enjoy it as much as the previous two. Although like the previous two books, it was short (my copy is only 197 pages), for some reason parts seemed to drag on for me. Like, I kept wondering why she just couldn't say, "Their journey was long, and difficult," instead of pages and pages of describing their difficult journey. Maybe I was just being particularly impatient, and reading this on another day I wouldn't mind so much, but I just wanted them to get wherever they were going. But other than the journey that seemed to last forever, the story was good. I particularly liked the way she wrote how the Arran felt and dealt with the influence of the miasma that was such a problem. Although my first thought was, "what on earth is WRONG with him?" she did a good job with the subtle changes in perspective and feeling that he was dealing with. So, not my favorite book in the series, but a decent enough conclusion. The Word of Unbinding by Ursula K. Le Guin was another interesting albeit terribly depressing story.